Performance is important when it comes to implementing and maintaining an RFID system. Here are six common factors that can negatively impact an RFID system's performance. Interference from other radio-frequency (RF) emitting devices (RFI), such as other RFID readers and Wi-Fi access points, can negatively impact RFID system performance. As with any system dependant on electronic components, RFID systems are subject to the risks of a “dirty” power supply. Such power supplies can elicit strange behavior from electronic devices (such as RFID readers) that draw power from them. Be sure to stick with OEM power supplies that you know to be clean and regulated. All RFID systems are sensitive to objects obstructing the line of sight between the RFID reader and the tag(s). Maintaining a clear line-of-sight between readers and tags in your RFID system is critical to good system performance. If any object, especially metal objects, is blocking the line-of-sight, your system performance will be degraded. 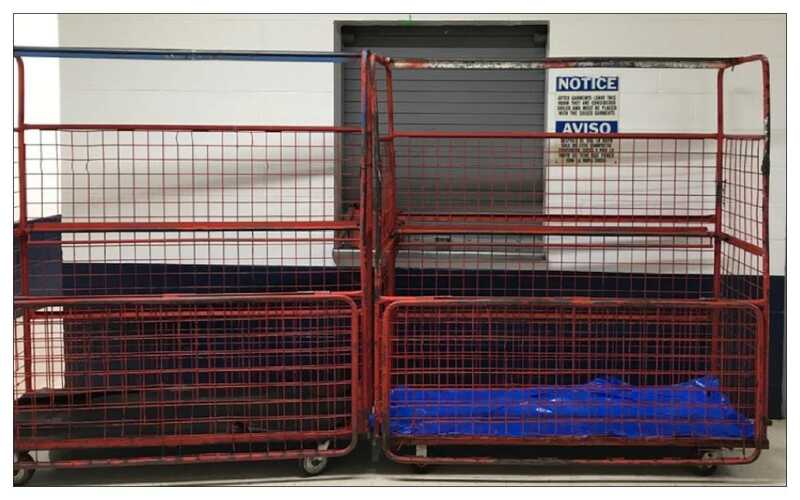 One example of line-of-sight obfuscation we've run into in the field involved sheet counting; a metal cart in the line-of-sight (pictured below) had a devastating effect on the RFID system's capability. Sometimes using an external antenna instead of your reader’s integrated antenna can help improve overall performance (especially when it comes to read range). There is a myriad of different factors to consider when it comes to selecting an antenna, including antenna gain, polarization, beam angle, front-to-back ratio, and the gain of cable between the reader and antenna. While UHF RFID systems are often excellent low-cost, high read range solutions, you should keep in mind that the UHF frequency band is particularly sensitive to conductive materials, like water and metal surfaces, in the nearby environment. What often slips under the radar is the fact that humans are mostly water. If a human holds the UHF while you're trying to read it, you can expect significant performance degradations. Not all tags are made equal; some tags are higher quality (or at the very least, better suited to their environment, which can vary from system to system) than others and thus elicit a better read range. Some factors that play a role in tag performance include the inlay design, the inlay material, and the inlay chip type. Additionally, as a rule of thumb, the smaller the tag, the shorter the read range. To learn more about factors that can hinder or improve RFID read ranges, see our article on the topic here.